Attorney David W. White and his wife Denise I. Murphy with Boston Police Commissioner William Gross (Photo courtesy: Boston Police Department). Breakstone, White & Gluck is a Boston personal injury law firm which represents those who have been injured by negligence or wrongdoing in Massachusetts. In 2013, Breakstone, White & Gluck launched our Project KidSafe campaign with a goal of protecting children from head injuries. 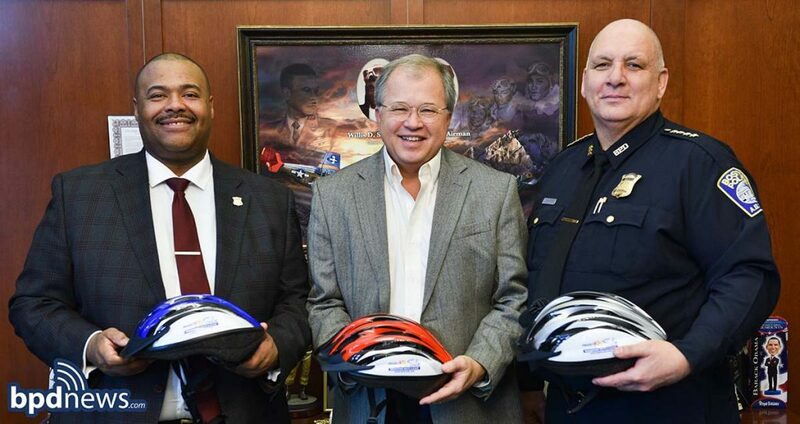 We have since donated over 20,000 helmets to children across Massachusetts, with help from community partners such as the Boston Police Department.